OK, I think I’m going to have to break down and buy an iPad just so I can play with this app, Martha Stewart CraftStudio app, which has been universally praised by critics since its release a few weeks ago. (Another reason to buy an iPad: Each of the four Martha Stewart monthly publications, including Martha Stewart Living, is available in an enhanced edition–but these are optimized to work only on iPad. They do work on my Kindle, but only as a multipage PDF–I am unable to view animations and link to additional content, unfortunately.) Also in attendance, and providing a demo of the app, was design goddess Gael Towey, MSLO’s Chief Integration and Creative Director. FOMs: Have you downloaded and played with this app? What are your initial impressions? The list of content available digitally from MSLO is quite impressive, and continues to grow. You can check out the digital magazines and mobile apps that are available here. Also, be on the the lookout: A podcast of last night’s event will soon be available for free download on Apple’s iTunes! Crafting has always been one of my passions and I have always felt that Martha Stewart Living Omnimedia has some of the best crafters. Over the years, we have developed a superior line of crafting tools and kits, demonstrated crafting on my televisions shows, as well as provided step by step directions on our website and in our magazines. You can preview Martha Stewart CraftStudio here. via Discussing My Latest iPad App, Martha Stewart CraftStudio, at the Apple SoHo Store – The Martha Stewart Blog. Martha proudly takes credit for her enormous contributions in this interview, which the reporter thinks is “cocky”–although he clarifies to say that Martha is “politely cocky, pleasantly cocky, bluntly cocky in a way that indicates there’s a reason she is who she is. Cocky in a manner that clearly states she can back it up.” Indeed, she can back it up! Also telling was this quote, foreshadowing the priorities of MSLO for the future: “And our business doesn’t match our brand at all yet. It will. But it’s much smaller than our brand. It should be bigger. And it will be.” Sounds like a business plan to me! Go Team Martha! via Martha Stewart blunt on her impact | TV | Entertainment | Toronto Sun. The wait will soon be over: Martha will be back on TV starting in October! That’s the announced start of her new show on PBS, “Martha Stewart’s Cooking School”. 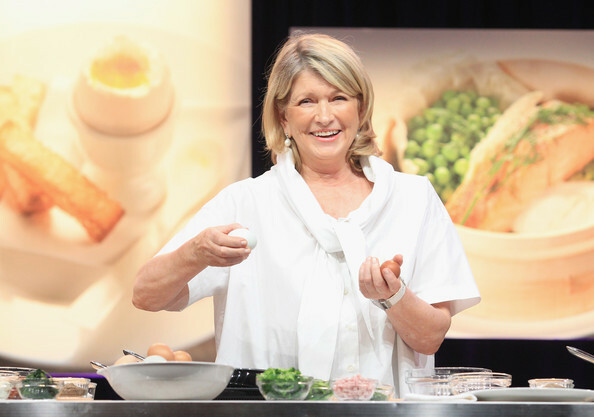 At a publicity event for the Television Critics Association, Martha demonstrated how to make an omelet and how to prepare vinaigrette. Soon, we’ll all be following along with Martha as she shares her cooking expertise. Can’t wait! The Television Critics Association (TCA) summer press tour kicked off at the Beverly Hilton yesterday with presentations by PBS, including a cooking demonstration by Martha Stewart for her new series “Martha Stewart’s Cooking School” premiering in October. via TCA Summer 2012 Press Tour: ‘Downton Abbey’- ‘Free Bates’ – Viewer Discretion. Not a good day for J.C. Penney, I’m afraid. A NY state state judge has intervened on behalf of Macy’s to halt the planned sale of Martha Stewart-branded items at J.C. Penney next spring. While the judges ruling is not final yet, he indicated that the facts of the case tilted in Macy’s favor. J.C. Penney has responded that it will comply with the judge’s ruling, but that it will proceed with the launch of the Martha Stewart store-within-stores concept and will sell only those products not specifically covered by its agreement with Macy’s, which runs through 2018. In the past week, there has been notable movement at MSLO: Martha herself was named Founder and Chief Creative Officer, Lisa Gersh was named CEO, and the agreement with J.C. Penney was amended to show higher anticipated sales figures for the joint venture and to include new categories of products. It is not hard to imagine that these developments, coming just days before the judge’s ruling, are intended to better position MSLO as it works to resolve its agreements with both retailers. Some have predicted a settlement with Macy’s that would free Martha from her contract and allow her to devote the company’s full attention and creative energies to its new relationship with J.C. Penney where it will have much more say in the manner in which Martha’s products are merchandised in the stores. FOMs: Stay tuned–this story isn’t over! Looks like, for now, we can look forward to Martha Stewart products being available at TWO retailers starting in 2013. A state judge on Friday temporarily blocked plans by Martha Stewart Living Omnimedia to sell certain branded products at J.C. Penney stores. The preliminary injunction was a win for Macy’s (M), which has sued Martha Stewart Living (MSO) claiming it has exclusive rights to sell certain Martha Stewart products including soft furnishings, dinnerware and cookware. The deal just got sweeter! J.C. Penney has agreed to pay, in aggregate over the 10 years of the agreement, $110 million MORE to MSLO in the form of sales commissions, design fees, and annual marketing spend. Sounds like the store is feeling optimistic about the success of the partnership! Other modifications to the agreement were made, as well, which you can read in the article. You can also see the scarily-official looking legal form describing the amendments to the agreement by clicking here. modify the Products that will be sold in one of the Product categories contemplated in the original Commercial Agreement. As a result of this amendment the minimum guaranteed payments for sales commissions, when combined with the design fee and the annual marketing spend, will require J. C. Penney to pay MSLO at least $282.9 million, in the aggregate, during the 10-year term of the Commercial Agreement, which represents a $110.5 million increase in aggregate minimum guaranteed payments for sales commissions payable by J. C. Penney to the Company before giving effect to such amendment. via StreetInsider.com – Martha Stewart (MSO), JCPenney (JCP) Amend Commercial Agreement; JCP to Pay At Least $282.9M During 10-Year Term. Good news: It looks like Martha’s going to stick around for a little while longer! Today, MSLO announced the extension of Martha’s employment agreement. Her title has officially been changed to Founder and Chief Creative Officer. Lisa Gersh, former Chief Operating Officer has been named Chief Executive Officer. MSLO stock ticked upward on the news that there will still be some “Martha” in Martha Stewart for a few more years. If you want to see some legal gobbledygook on the matter, then click here. 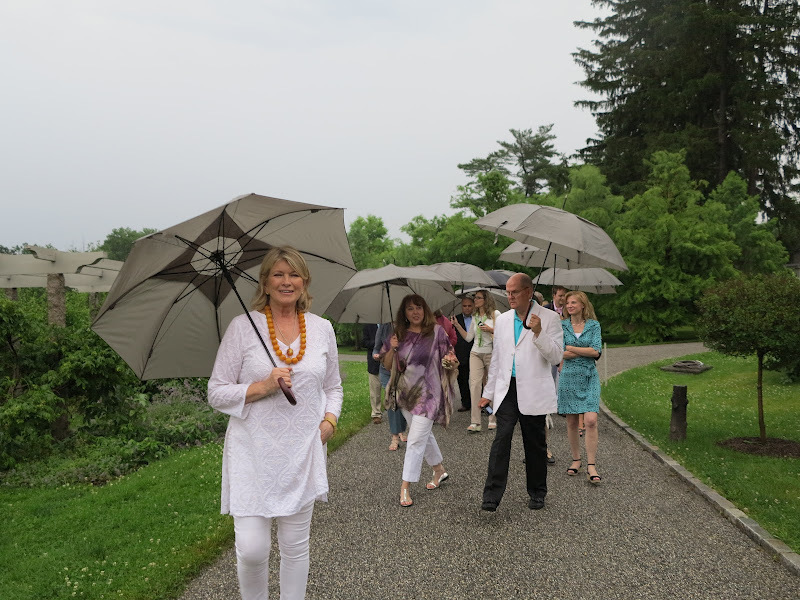 FOMs: Do you think Martha will ever retire from the company? Her passion for learning and sharing what she learns seems to be such an essential part of who she is that it’s difficult to imagine she will ever stop–don’t you agree? Martha Stewart Living Omnimedia, Inc. today announced that Martha Stewart has extended her employment agreement with the Company until June 30, 2017. The agreement names Stewart Founder and Chief Creative Officer. Stewart continues to serve as Non-Executive Chairman of the Board. via Martha Stewart, Founder And Chief Creative Officer, Extends Employment Agreement For An Additional Five Years; Lisa Gersh Named Chief Executive Officer – MarketWatch. I’ve always been fascinated by retail merchandising and the way it responds to human behavior in order to facilitate sales. 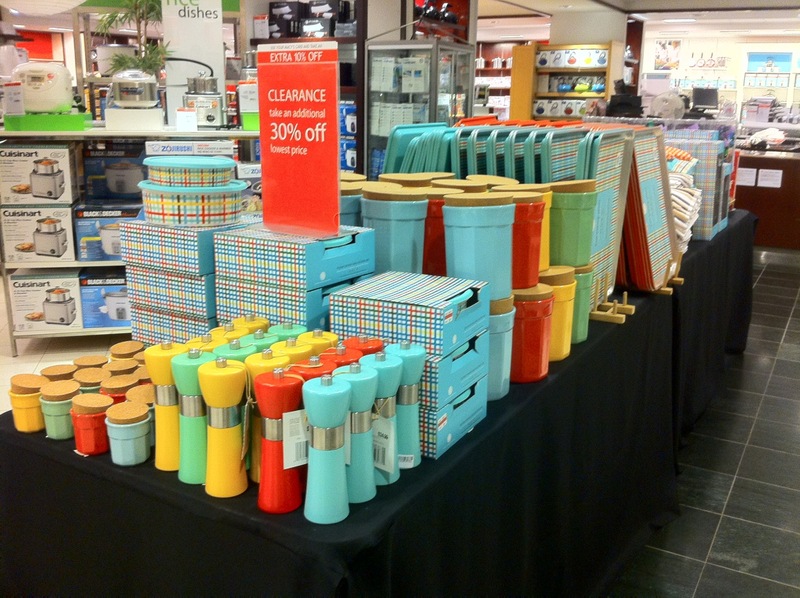 When I have a moment, I make it a point to visit Macy’s to see the Martha Stewart Collection. I like to spot new items and pay attention to the way the line is being merchandised by Macy’s. Obviously, placement in the store–near high-traffic areas, in very visible locations, with plenty of room to display adequate stock–is key to successful sales. Sadly, the San Francisco flagship store has not done well by Martha, I’m afraid. In the photo above, you can barely see the Martha Stewart Collection’s whiteware items, whereas Macy’s house brand, The Cellar, is positioned prominently by the aisle. If you look carefully in this photo, you can see the large table of whiteware behind the tall fixture with the blue Martha Stewart logo on it. (The right-hand edge of the table is to the right of the tired shopper, seated and talking on her mobile phone.) Also notice the lighting in this photo: The Martha Stewart logo is in shadow, while the well-stocked table of The Cellar items has three bright lights directly overhead. Elsewhere in the Housewares Department, I found plenty of Martha Stewart Collection items in the middle of the aisle. Unfortunately, these were all on clearance. They were marked down, and shoppers could enjoy an additional 30-percent off the lowest price. The rear wall in this photo is lined built-in shelves, stocked with Martha Stewart Collection cookware. Only problem is, this wall is literally the farthest away from the escalators and elevators that service this basement level. In both photos, the clearance areas are directly adjacent to these locations–and you can bet Macy’s isn’t placing clearance tables in what they consider the “prime” areas of the floor. It is also worth noting that these are NOT the locations on this floor where the Martha Stewart Collection could be found when it launched in 2007. Then, the collection was placed very prominently in the store, and merchandised beautifully with table settings and seasonal displays. Subsequently, this floor went through a number of remodels and the Martha Stewart Collection was moved to the less-desirable locations shown in these photos. I mention this because, as part of the countersuit against Macy’s, MSLO is claiming that Macy’s has not properly supported the Martha Stewart Collection in its stores. The countersuit claims that Macy’s has demoted the collection to “loss leader” status–whereby it advertises the collection but once shoppers come into the stores, they are presented with Macy’s house brand items (which are more profitable for the store) that are better positioned and better stocked. Based on what I observed this past Saturday, I’d say MSLO is spot-on. Macy’s CEO Terry Lundgren is scheduled to be deposed tomorrow as part of the court case, and the hearing is scheduled for July 13. 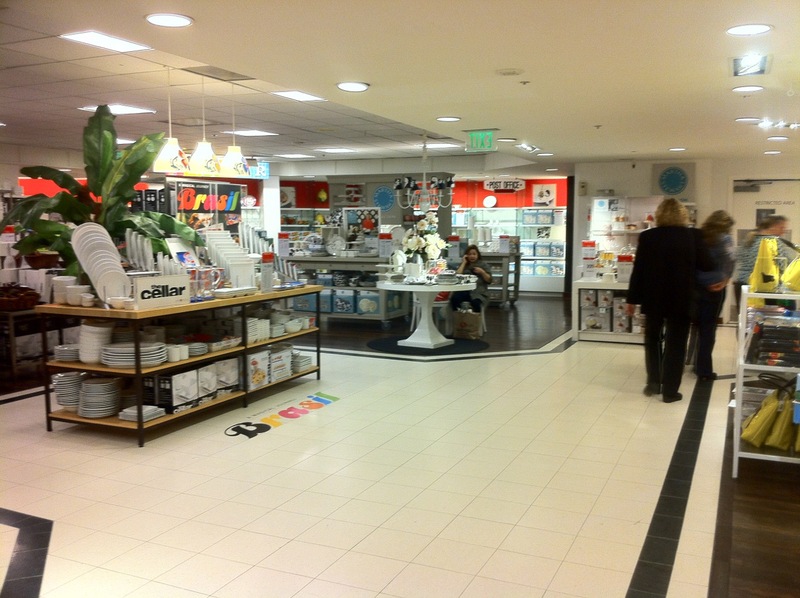 At stake is MSLO’s ability to open the Martha Stewart shops inside J.C. Penney stores in 2013. If you’re interested, you can read about a previous Macy’s Expedition here.